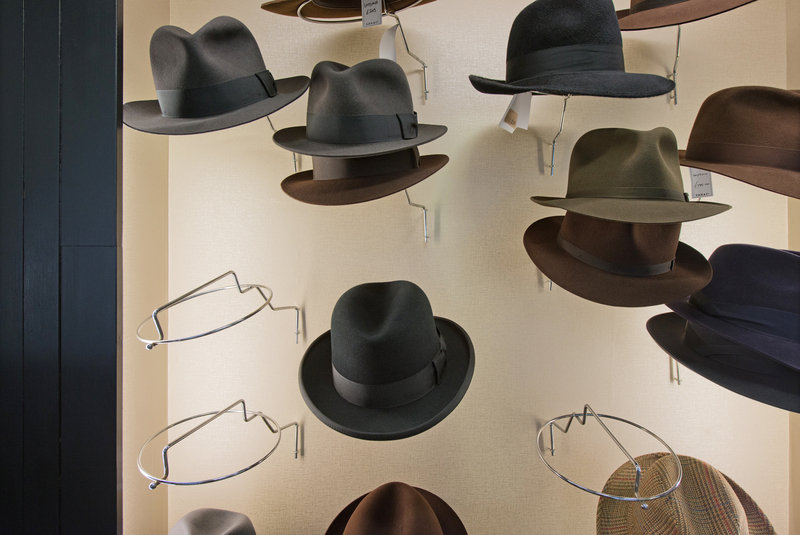 Winston Churchill was a man of many hats, literally and figuratively. After several years as Leader of the Opposition, he once again became Prime Minister, on October 26th 1951. He left his painter’s smock and bricklayer’s overalls at Chartwell, his country home in Kent, and moved with Clementine back into Number 10 Downing Street. There they lived from December 1951 until April 1955, when he resigned as Prime Minister at the age of 80. There are many press photographs showing Prime Minister Churchill going back and forth to Parliament from Downing Street. He is inevitably wearing a white shirt, dark suit, polka dot bow tie, and a black hat such as the one seen in the middle of the above photograph. Although many of his hats were by Scot & Co. of Old Bond Street, he also purchased hats from Lock & Co. founded in 1676.